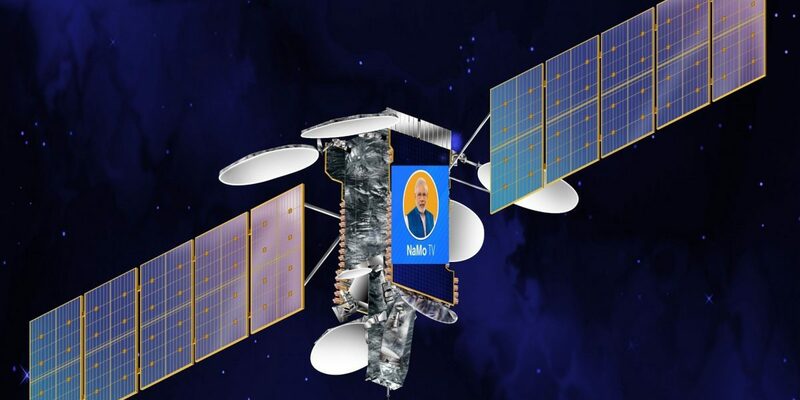 Information in the public domain indicates the prime minister’s propaganda channel is using the NSS-6 satellite to uplink and downlink its signal despite not having a license to do so. 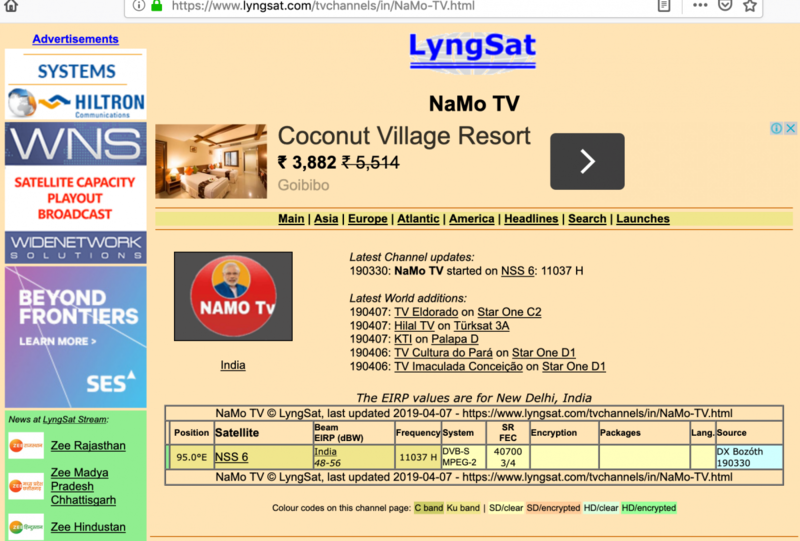 New Delhi: The surreptitious launch of the NaMo TV channel exclusively devoted to propaganda on behalf of Prime Minister Narendra Modi and the Bharatiya Janata Party has generated a huge political controversy with opposition parties asking how its operation is compatible with both India’s broadcasting and election-related laws. 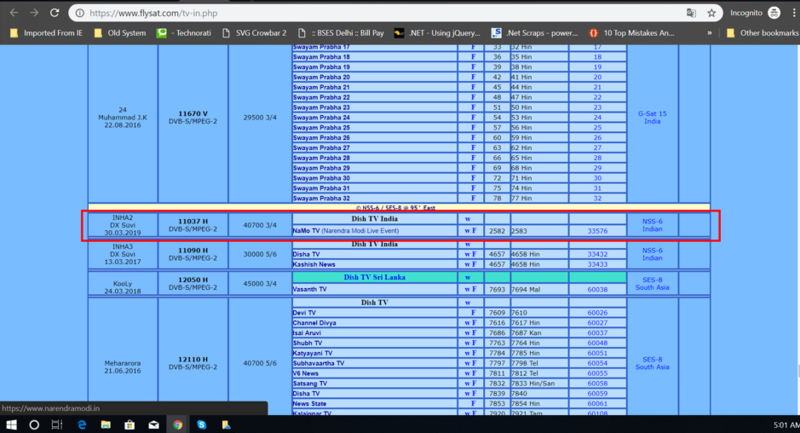 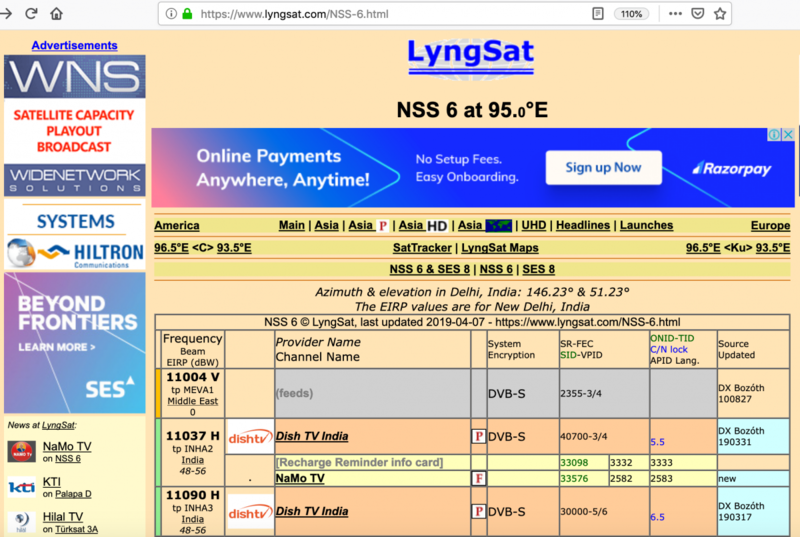 Screenshot of NaMo TV entry at LyngSat. 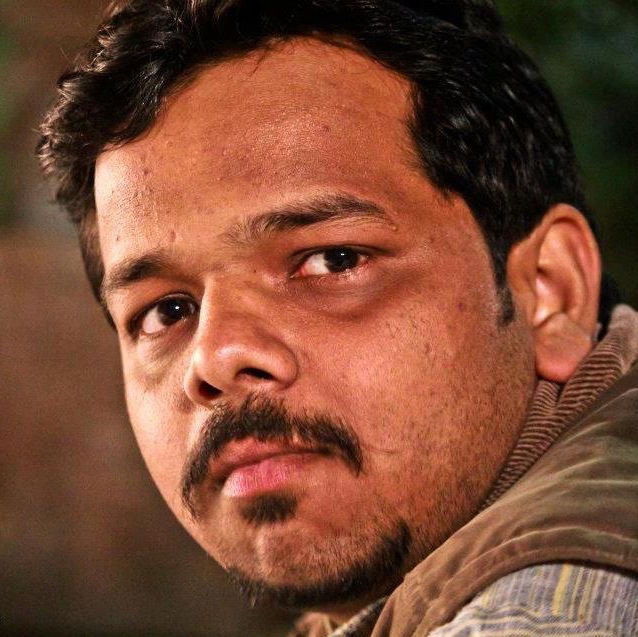 Mayank Saxena is a co-founder of the soon to be launched app, Truth and Dare News.